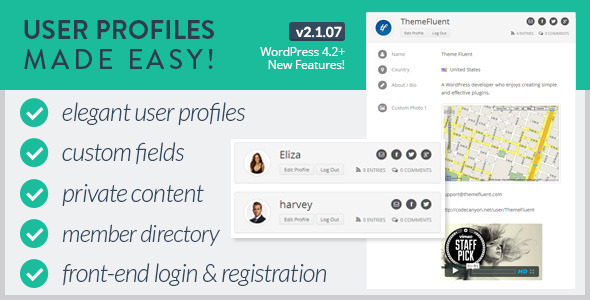 User Profiles Made Easy (UPME) is a fully features and flexible solution for managing user registrations, login, profile management and content restrictions from the frontend of your site. 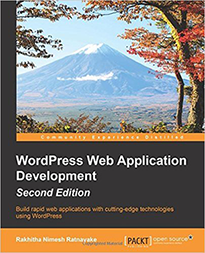 UPME also offers wide range of other features related to WordPress user profile management. UPME provides you the ability to remove WordPress default backend user login, registration and provide awesome responsive design display login, registration , member list and profile on frontend with custom profile fields. This is the #1 solution for managing profiles trusted by 6000+ clients on Codecanyon. Build easily searchable Member directory in front-end. Build a guest post submission and author management site. Display and promote User Profiles on front-end. Restrict private content for different user types. 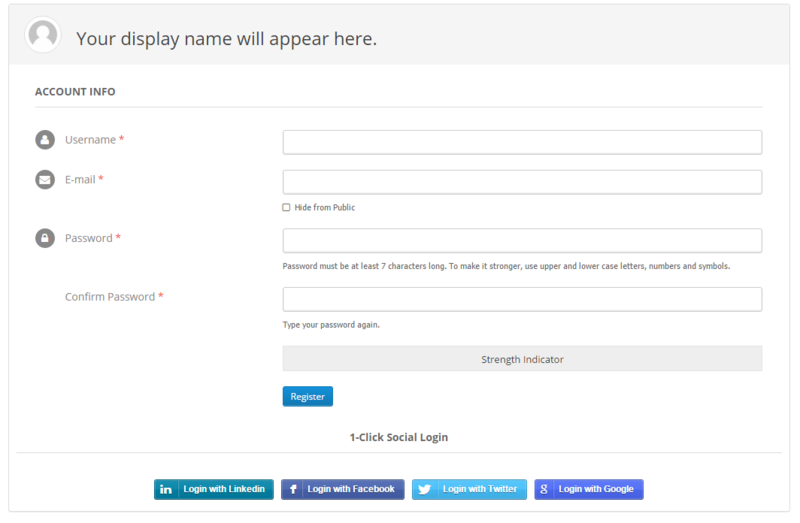 Build custom Login and Registration Forms for front-end. Profile data management with unlimited custom fields. UPME login provides default set of fields with a default design as shown in the following screenshot. 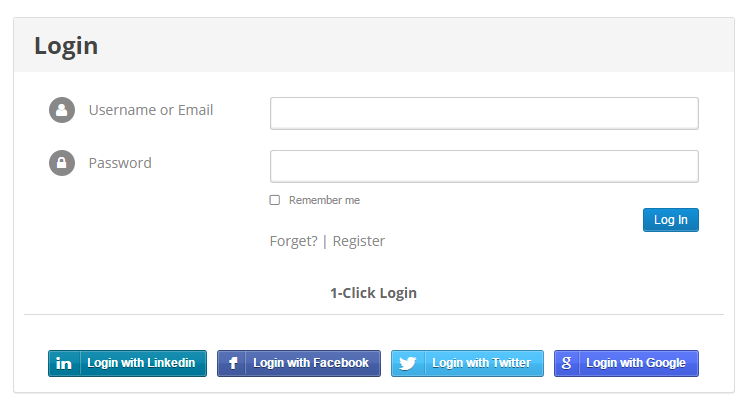 You can also enable Social Login to the default login form using Twitter, Google+ , Facebook and LinkedIn. 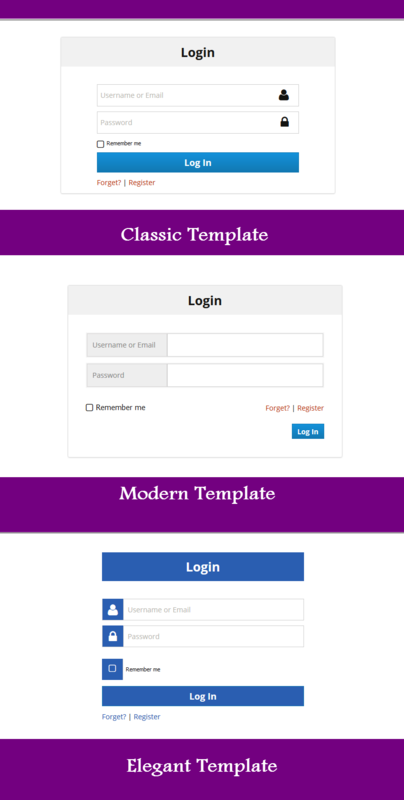 Apart from the default design, there are 3 alternative login form designs are available by default as shown in the following screenshot. You can use the default registration form with built-in fields or add your own custom fields to the registration form. UPME also supports registration through Social Networks. Following screenshot previews the default registration form. Following are some of the features available in registrations. User profiles comes with default set of custom fields. You use them along with your own fields or remove them and only create your own fields. 10 field types are available for creating fields by default including Text, Textarea, Password, Dropdown, Checkbox, Radio Buttons, Video, Souncloud, Image Upload and Date Picker. You will get more field types with premium addons. 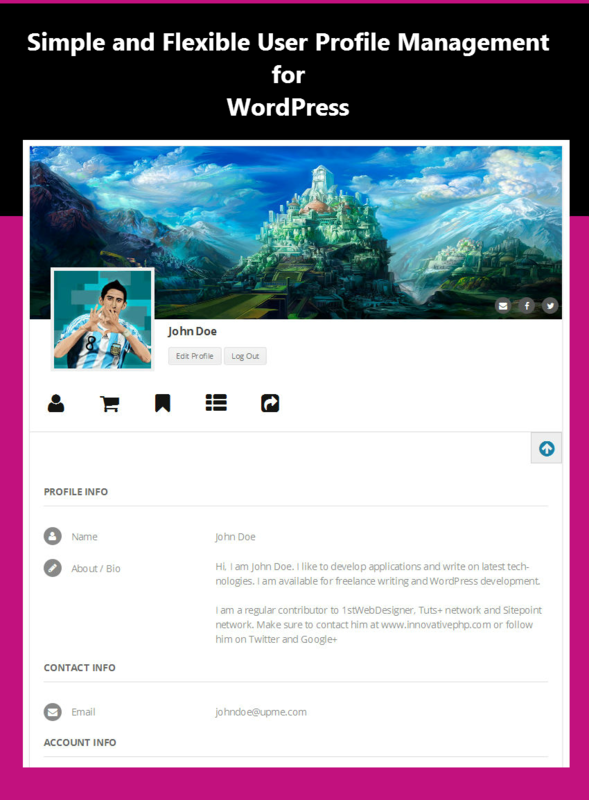 Following screenshot previews User Profile with all the main features. Users can upload their own Profile Image instead of using default Gravatar. Also UPME offers optional Cover Image to upload a large cover image for your profile similar to Facebook. Profiles can be displayed publicly or restricted from public and certain user roles. UPME creates a page for search and member directory by default. 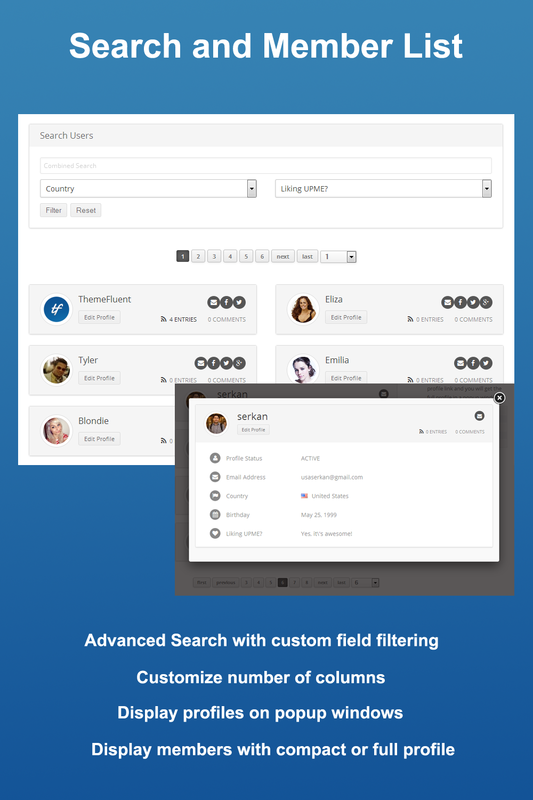 You can use this search to filter members using their custom field values. This is a great feature to enable user search on front-end since WordPress doesn’t provide support for user search by default. Following image preview the member list and some of its features. Are You Impressed with User Profiles Made Easy? This is the #1 solution for managing profiles trusted by 6000+ clients on Codecanyon. Consider using UPME to power front-end User Management.